Howard Schultz, pictured in 2017, is stepping down as executive chairman of Starbucks as of June 26. 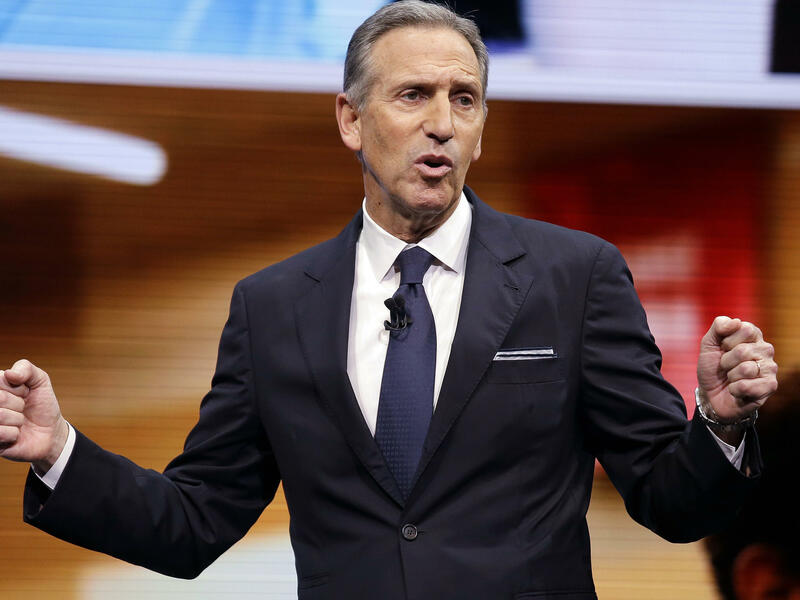 "I set out to build a company that my father, a blue-collar worker and World War II veteran, never had a chance to work for," Schultz wrote in a letter to Starbucks partners. "Together we've done that, and so much more, by balancing profitability and social conscience, compassion and rigor, and love and responsibility." Upon his retirement he'll carry the title of chairman emeritus, but the announcement has fueled speculation that Schultz may be considering a move into politics. Much of that speculation has been fanned by Schultz himself, who has been critical of President Trump and has expressed, through initiatives within his own company and outside of it, a desire to "help the country." On Monday, he addressed the question of a second life in politics: "I want to be truthful with you without creating more speculative headlines," he told The New York Times. "For some time now, I have been deeply concerned about our country — the growing division at home and our standing in the world." In a May interview on CNN, Schultz made several such comments saying, "What I would say is that I'm as concerned an American citizen as I ever have been. I want to be as involved as I possibly can as a citizen to help the country. I don't know what that's going to mean in the future." Schultz became director of operations and marketing for Starbucks in 1982, and later led a group of investors in buying the company.